The cremation in the evening was attended by thousands of people. 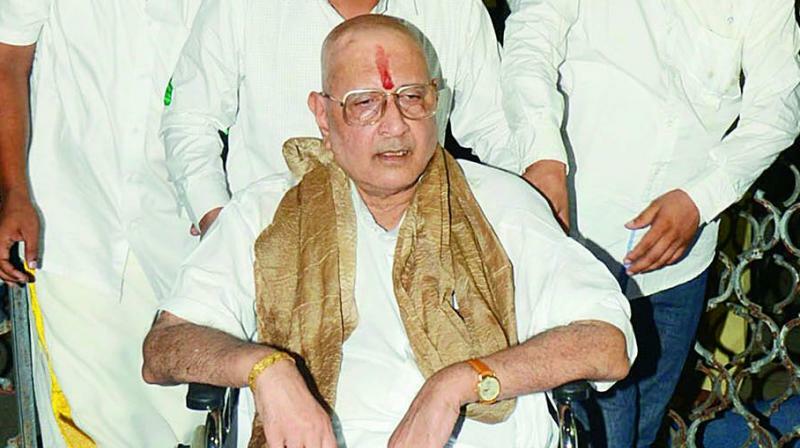 Visakhapatnam: Scion of the royal family of the erstwhile princely state of Vizianagaram and former MP and minister, Pusapati Anand Gajapati Raju, 65, passed away in Visakhapatnam on Saturday. Raju was undergoing treatment in a corporate hospital here. He was the elder brother of minister for civil aviation P. Ashok Gajapati Raju. Born on July 17, 1950, Raju also worked as chairman of the MANSAS trust, which was set up by the family to support the educational needs of the region. He is survived by his wife and a daughter. The body was shifted to Vizianagaram where people from all walks of life thronged to pay their last respects. The cremation in the evening was attended by thousands of people.